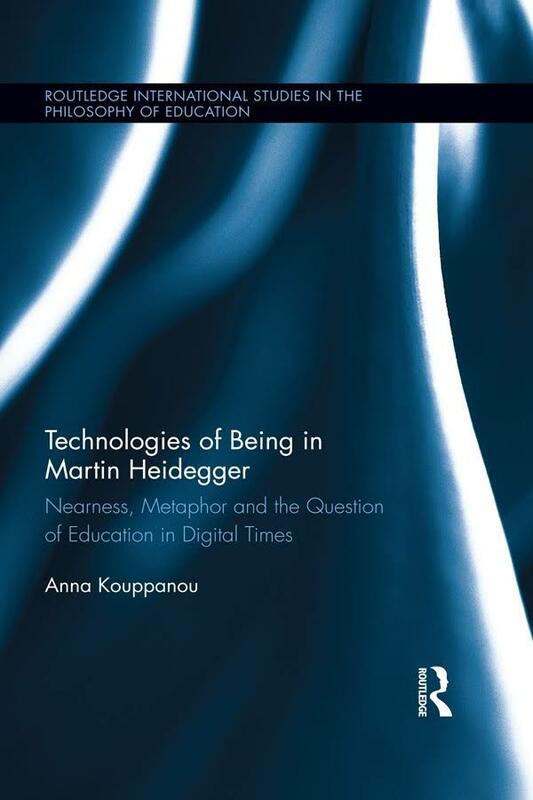 This study by junior scholar Anna Kouppanou proposes to recast Martin Heidegger’s conceptions of nearness, technology, and imagination in terms that show their interrelated phenomenological character as this speaks to the philosophy of education. Drawing substantially on the work of Bernard Stiegler, as well as Jacques Derrida, her method of analysis is less oriented in a Heidegger-studies approach per se, and more geared toward re-directing Heideggerian themes in service of specific questions. Kouppanou reads Heidegger from a persuasion such that the latter’s critique of technology is one-sided and negligent of considering how technology may overlap with other, more originary modes of being’s disclosure. She entertains a number of provocative theses. Among these theses are the following: nearness characterizes the event of truth and an essential aspect of education; technology affords nearness; imagination and temporality are co-constitutive; language, perception, and imagination are metaphorical; and the philosophy of education demands rethinking the interrelation of technology, imagination, language, and truth. All in all this project is an ambitious one, but Kouppanou gracefully weaves together a number of Heideggerian concepts and gives us new insights for understanding the scope of Heidegger’s notion of technology. I will say at the outset that I believe the study is actually much more effective on this score than it is on a philosophy of education front. To my mind this book’s most significant and groundbreaking contribution is its inventive interpolation of the connection between imagination, nearness, language, and technology in Heidegger’s philosophy. The concept of imagination in particular has historically been neglected in Heidegger studies, given Heidegger’s dismissal of imagination as a vestige of aesthetics and Cartesianism. Kouppanou’s book should broaden current understanding of imagination in Heidegger, especially in its positive sense. 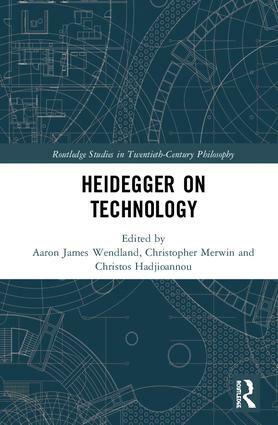 Kouppanou prefaces the study in the Introduction by raising the question of how the concept of technology might be reconciled with Heidegger’s notion of authentic nearness. Kouppanou suggests that nearness ultimately concerns imagination, given that for something to be near entails that one sees it “as” this or that. Or vice versa, to see something in a particular aspect is to have it phenomenologically near. In other words, following Kant, the schematizing condition of perception is imaginative. This notion restates the hermeneutic turn in Heidegger, that any state of human understanding, any state of meaning, is always already interpretive. Kouppanou regards imagination (Einbildungskraft) as a core concept here because it unifies the schematization bound up in technology as Gestell with education conceived as Bildung (4). In this light there is a connection between technology’s enabling of nearness and education’s model of culturation; a guiding idea Kouppanou borrows from Véronique Fóti is that Heideggerian Gestell possesses a formative character similar to education. In other words, maybe there is not as sharp a distinction between Gestell and other, more originary manifestations of being as one may think. The distinction between poetic and non-poetic image opens up a whole new discussion concerning types of images (Bild), types of forming (Bilden), their relation to imagination (Ein-Bildungskraft) – as the one being affected in receiving and producing forms of imagining, and ultimately their connection with Bildung as the very process concerned with human formation (19). Employing a more expansive notion of this concept than Heidegger, the author understands “nearness” as a mode of knowing and connectedness to the world that allows the human being to participate in the unfolding of life through formative procedures (19-20). Thus, she regards nearness as intimately bound up with education. Taking this reorientation into account, image, formation, and imagination become indistinguishable from Heidegger’s temporality. For Heidegger, time is the result of synthesis, an originary association that allows past, present, and future to come together and give time. This original nearness of moments allows time consciousness and consciousness in general. Without this bringing-near of past and present, and presence and absence, time cannot be formed (32). So in this light, imagination (Einbildungskraft), education (or “formation,” Bildung), and image (Bild) consciousness are co-constituted through temporality. Or what is the same, Heideggerian temporality is conditioned by the underlying synthesis or formation manifested in imagination, with nearness operating as a crucial component. A question that remains to be taken up in the third chapter concerns the nature of future-directed imagination, or what Kouppanou calls “in advance formation.” If imagination transcends mere subjective representation, then the question becomes one of how imagination’s future-oriented, schematizing mode avoids this limitation. The question she poses is whether there are other structures involved that make this possible – and in particular – what is language’s role, insofar as it plays into the formation of originary poetic images? The third chapter explores these issues in greater depth. One aspect Kouppanou highlights in further analyzing the futural character of imagination is the moment of vision, the augenblick, as a poetic image. Here she invokes the three ecstatic modes underlying temporality in Heidegger’s account from Division II of Being and Time. The mode of futurity lay in Dasein’s character of being-ahead-of-itself, of projecting forward interpretively from one’s own factical state. 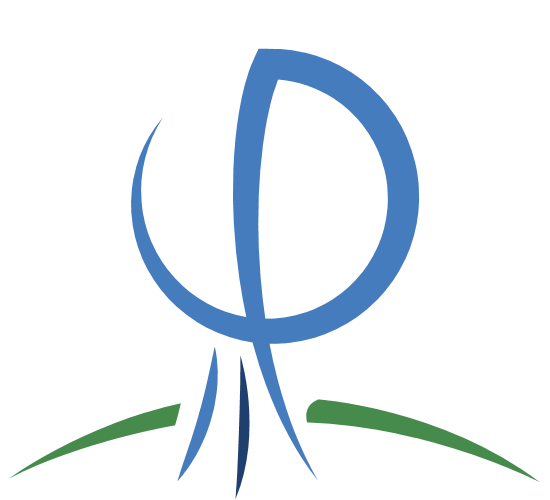 Yet, Dasein’s futural orientation also possesses an imaginative aspect insofar as it can be influenced by Dasein’s authentic acknowledgement of the voice of conscience. Dasein’s potential for authentic temporality has its seat in allowing conscience to be heard and in wanting to respond to this voice. Imagination would seem to be a crucial component here in that Dasein’s responding to the voice of conscience is necessarily a seeing-as, a hermeneutic moment of vision that is poetically gathered for one and disclosed in image form by virtue of Dasein’s self-understanding through heeding its own death. Similarly, as was observed in the look at imagination in Kant, the notion is that the image-formation of authentic temporality does indeed stem from both a subjective foundation and one that responds to things. As Kouppanou summarizes this point, authentic temporality instantiated in one’s owning of death is a process of bringing-near, to make present what is absent (38-39). However, she also adds the rejoinder that nearness is not a concept that can be expressed propositionally. “[N]earing, just like the originary image, is less of a designation and more of a metaphor, an irony, and a paradox” (39). For “nearness” itself is a metaphorical idea. It does not refer to an objective orientation in space or a property neatly predicable in a sentence. Rather, it is an interpretive mode in which things appear to one. In this light, Kouppanou suggests that the linguistic origin of the notion of nearness qua metaphor merits further discussion. On one hand, metaphors are antithethical to Heidegger’s attempt to transcend metaphysics insofar as they postulate a divide between sensuous and nonsensuous reality. On the other hand, as Kouppanou suggests, Heidegger’s accounts of perception in various texts suggest that he understands sensation (aisthesis) as subject to metaphorical transformation in perception. This is to say, everyday human perception occurs through metaphorizing of sensation, given that all seeing is in fact seeing-as. Kouppanou writes: “The world as phenomenon, as Heidegger seems to argue, is perceived with the assistance of both aisthesis (the senses) and phantasia (imagination), or better yet: aisthesis perceives imaginatively and through the modification of sense data” (42). To say that perception metaphorizes the stuff of things is to regard perception as imaginative, as a kind of image formation. (An aside Kouppanou hints at here is that language’s metaphorical character is likewise imaginative, based in image-formation, similar to Nietzsche’s account of metaphor.) Kouppanou finishes out the chapter by again invoking the role of productive imagination by way of Kant. If one concedes that perception is imaginative, this assumes that perception requires “exterior images” (44). This is to say that, as concomitant with productive imagination, perception also engages the retentive aspect of time-consciousness by which images are frozen as schemas that inform future experience. In brief, perception is imaginative reproduction. In the chapter’s conclusion, the primary question asks whether nearness is confined to the relation of imaginative schematization and language, or whether there are other media in which nearness can occur. Chapters Four, Five, and Six explore the concept of nearness according to its various treatments in the early, middle, and late periods of Heidegger’s thought, respectively. Chapter Four takes up nearness as it is implicated in the early Heidegger’s concept of things “ready-to-hand.” Chapter Five examines the role of nearness in Heidegger’s political thought, particularly as it pertains to Heidegger’s thought on homeland and native soil. Chapter Six focuses on Heidegger’s perhaps best-known discussions of nearness, from the later writings on poetic experience and the life of the “thing” (Das Ding), where nearness is conceived as an alternative mode of dwelling to modern technology. In what follows I will summarize these studies briefly before taking up the final two chapters of the book. Chapter Four analyzes the early Heidegger’s account of nearness as revealed in things ready-to-hand (such as Being and Time’s tools) in order to better understand Heidegger’s attempt to “eliminate the technological aspects of being from his theorization of authentic time” (51). Kouppanou suggests that Heidegger’s avoidance of emphasizing aspects of existence such as “materiality, embodiment, spatiality, and prostheticity” (51) in his accounts of perception and world are reflective of his disinclination to include technology in the sphere of authentic temporality. Whereas, Kouppanou wants to suggest here that such a divide between the poetic or originary, and the technological, is artificial, given that technology is embedded in historicality. Technological being informs the imaginative character of perception no less than the rooted and homely in Heidegger’s early account of Dasein’s being-in-the-world. Chapter Five examines Heidegger’s notion of nearness in its guise as a “political scheme.” The primary goal of Kouppanou’s focus here is to highlight Heidegger’s recasting of nearness into the political dimension of rootedness (76). Technology is to blame, according to Heidegger, for creating a false sense of nearness that results in rootlessness. Citing Stiegler, Kouppanou argues in contrast that technology does in fact have a constitutive role in the formation of the polis and the emergence of nearness; she emphasizes that “time cannot be a single destiny,” nor can time circumvent the mediation of technology (81). Simply put, authentic temporality cannot occur outside the sway of technology. Part of Heidegger’s error here, Kouppanou suggests, is to absolutize space as a metaphysical principle, whereas in Being and Time, he makes a stronger case that the nearness of space is a metaphor disclosed by Dasein. Kouppanou comments: “Heidegger’s return to space [in the critique of technology] coincides with the distortion of the very process that his thinking attempts to become: the poetic image. Instead of letting poetic imagery to be freely received, Heidegger imposes interpretations that temporalize space and emphasize the historicality of the homeland” (77). While language is presented as the basic process that lets things be and affords nearness, Heidegger’s own metaphorical language says much more about the way nearness and the poetic realm unfold than his explicit argumentative language. What’s more, his discussion concerning the work of art, as a site for truth, emphasizes the spatiotemporal dimensions of revealing and accounts for the material and embodied aspects of its unfolding. This in turn provides us with an opportunity to reconsider poetic image as a mode of presencing that does not belong to language exclusively (90). In the ending sections of Chapter Six, the final chapters of the book are previewed in some explorations of how Heidegger understands true nearness in the lived world of “things” (as in the essay “The Thing”) versus his view of the alienated state of being afforded by technology. Kouppanou highlights the primacy of the human hand for Heidegger in the creation of works fostering true nearness, as the hand is integral to both traditional handicraft and originary language conceived as gesture. Heidegger highlights this phenomenon when he contrasts the hand’s use in speaking and writing with the hand’s diminished capacity in these activities upon the advent of the typewriter. A pervasive ambiguity Kouppanou identifies here in Heidegger is the equal role of the hand in making use of differentiated, external being. It would be a mistake to claim, as Heidegger seems to suggest, that works of the hand constitute self-contained, holistic processes of creation. As Kouppanou suggests, there appears not to be a sharp underlying divide between Heidegger’s notion of the lived experience associated with tools and “things” of handicraft, which are derivative upon metaphorizing imagination, and robust manifestations of modern technology. Both make use of beings external to themselves in fostering their brands of nearness. It is not sufficient to claim that modern technology is problematic simply because it maximizes nearness and totally removes distance. 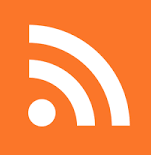 The thrust of Kouppanou’s argumentation is that there seems not to be a fundamental difference between the imaginative disclosure afforded through, say, the hammer and the disclosure given through 21st-century computing. The final two chapters of the book engage the findings of Chapters One through Six as they pertain to education and technology in current times. Of particular emphasis for Kouppanou is the type of nearness fostered by the imaginative schematization prevalent in the World Wide Web and social media. Kouppanou’s central argument in these final portions of the book rests on the claim that the nearness availed by modern technology is coextensive with Heidegger’s core assumptions about the relation of nearness, language, metaphor, and imagination. She writes that “technology is always already constitutive for our ways of seeing-as,” and “[a]ll technology participate in our hermeneutical processes” (119). In sum, “hermeneia is itself a material exterior and embodied metaphorical process unfolding through a twofold process of discretisation and synthesis instantiated through both language and technology” (Ibid.). For Kouppanou, this last view is decisive because it drives home the imaginative, metaphorical basis equally latent within “gestures, tools, words, and stories.” Metaphoricity is simply a constitutive element of things and their lived meaning (Ibid.). Kouppanou then grafts this reasoning onto the digital being of the contemporary computerized world. The digital world is not simply the alienated world of technology; for human Dasein the digital world is still being-in-the-world. (This view has been developed by other Heideggerian philosophers including Michael Eldred.) Online experience is coextensive with the worldhood of everyday, “real” experience. The metaphorized images of online being are equally meaningful as the “real” world of meaning (123). A core assumption of these passages is that the online experience fostered in media such as Facebook is always derivative from the meaning-structures embedded in intentionality. In the final chapter, Kouppanou addresses these issues as they pertain to the philosophy of education. The primary question concerns whether modern technology’s current manifestation fundamentally alters the outlook for education conceived in its original guise as Bildung, formation through images. On one hand, she notes, the temporal form of “nowness” or constant immediacy created in online being would seem to encourage a pervasive lack of freedom. Online experience in this light is one of the individual perpetually being formed or educated from without (145). The danger Kouppanou sees here is the metaphorization or formation of the human latent in the pervasive reach of computing technology. For, technology, like handicraft is not merely metaphorized being in its own right; technology also leads its user to become metaphorized. This phenomenon has been documented in empirical science, as research has shown different types of media cause the human brain to rewire itself. Therefore, Kouppanou’s position here argues that technology’s power to completely metaphorize and rewire the educational process risks undermining the processes of discovery, scaffolded learning, and above all, hermeneutical freedom that are integral to education (150). This book is a very impressive piece of scholarship for an early-career researcher. Its reassessment of Heidegger’s philosophy of technology in terms of the concepts of nearness and imagination is especially fruitful. Stylistically I believe the chapters proceed somewhat quickly at times, jumping from one dense source to another in often rapid fashion, when the author might in fact benefit from covering less material and proceeding more slowly. The connections between the chapter topics also sometimes suffer from a similar feeling of disjointedness, where the inclusion of certain topics and subtopics comes off as unmotivated and ad hoc. The fifth chapter on Heidegger’s political agenda struck me particularly strongly in this regard. The first four chapters of the book, along with Chapter Six, come across much more cohesively in contrast. However, these are all small caveats given the strong total contribution of the book. As I noted at the beginning, the book’s principal shortcoming may be that its conclusions vis-à-vis the philosophy of education are relatively lukewarm and prefatory. The final chapter in which education takes center stage reads somewhat more like an appendix, whereas the chapters dedicated to Heidegger are more focused on making sense of a complex line of inquiry in his thought. 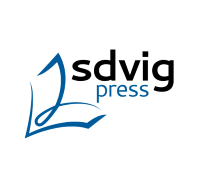 Schalow uses phenomenological methods and concepts, primarily drawn from Heidegger’s Being and Time and later work on technology, to illuminate the phenomenon of addiction, often with considerable success. As the subtitle, «Embodiment, Technology, Transcendence,» suggests, Schalow is primarily interested in understanding addiction with respect to the body, the technological context of addiction, and the existential dimension of addiction. While anyone seeking a detailed account of the role of the body in addiction might be left wanting more from Schalow’s book, they will nevertheless find probing analyses of the role that technology and transcendence can play in understanding addiction. With respect to the former, Schalow argues that the prevalence of addiction in the present era ought to be considered a referendum on the role of technology in our culture. With respect to the latter, Schalow argues that the phenomenological concepts of transcendence and authenticity can provide a key to addiction treatment. Schalow’s first five chapters offer a phenomenological diagnosis of addiction, while the final three begin to develop phenomenological principles of addiction treatment. 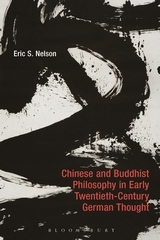 The first chapter argues for the importance of a philosophical, as opposed to neurological or psychological, approach to addiction. Schalow does this, in part, through the contention that addiction ought to be understood as a cultural-historical phenomenon – a «historical and cultural transformation of our ‘way to be'» (4) – which therefore cannot adequately be understood merely in terms of the physiology of the body, but only in terms of the meaningful features of the addict’s life-world. Schalow makes clear from the first that he intends to broaden our concept of addiction and to stand the common sense appraisal of the place of addiction in our society on its head, via his claim that addiction ought to be understood as a way of being that is in a certain sense the norm for our society (9). In chapter 5, Schalow turns to the technological dimension of his project. As I indicated above, his claim is that addiction can be considered as a referendum on technology (91), or in other words, the ubiquity of addiction in our society can only be understood in terms of its technological backdrop. Schalow makes this point by connecting technology and addiction in a number of ways. First, new technologies often facilitate certain kinds of addiction that pre-exist those technologies, as, e.g., the internet facilitates a gambling addiction. Second, new technologies give rise to unique forms of addiction, e.g., addictions to social media or video games (89-90). But, thirdly, Schalow is engaged in a larger claim, namely the Heideggerian claim that technology essentially amounts to an «enframing» of the world, characteristic of our culture, i.e., in which everything (including humanity) becomes standing reserve. This «enframing,» in turn, is bound up with addiction in a number of ways. First, it fosters a culture of excess and immediate gratification which promote addiction. Second, this technological culture infuses the life-world of the addict with boredom and stress, and thereby motivates release via addictive substances or processes (section 5.2). Finally, there seems to be a deeper sense in which technology mirrors addiction: just as in addiction one seeks control over one’s life and moods through the use of a substance or process, but thereby in fact gives control of one’s life over to the substance or process, similarly technology offers the promise of control, the «enframing» of resources, only at the price of losing control of human life to this enframing (110). It is, I think, especially in this sense that Schalow understands his central claim that addiction should take on the broad sense of a «historical and cultural transformation of our way-to-be» (4). In the final chapters of his work, Schalow turns to an existential analysis of methods of treatment. Since Schalow considers the 12-step Alcoholics Anonymous program to be the «enduring spiritual plan of our today» (111), Chapter 6 investigates the historical backdrop for the development of this program, explaining connections between AA founder Bill Wilson and the important figures and movements of his time, including Carl Jung, Rudolf Bultmann, and the Oxford movement. In chapters 7 & 8, Schalow argues that existing approaches to treatment are overly dependent on a mind-body dualism – i.e., they focus on either spiritual practices (e.g., AA or talk therapy) or purely physiological treatments – and so leave an important gap in treatment that would be targeted at the addict’s life-situation. Further, the hermeneutic-phenomenological method, insofar as it has long subverted the dualism of mind and body, can prove an important corrective here, by suggesting contours of treatment that would fill this gap. While these contours are multifaceted – e.g., involving the addict adopting new life-contexts (147) – Schalow focuses on transcendence, or responsibility, claiming that addiction cannot be treated without some «resoluteness» (in Heidegger’s sense) on the part of the addict. According to Schalow, «resoluteness» is the appropriate category by which to understand the addict’s choice of recovery, because the decision to quit a habit is not merely a choice, but really a choosing to choose. One does not overcome addiction through a single choice, but rather through choosing, day by day, sobriety, in a manner that is thus the opposite of the culture of immediate gratification fostered by technology. Addiction can only be treated with a commitment, on the part of the addict, and thus insofar as the addict takes responsibility for her or himself. First, there are some issues with Schalow’s interpretation of Heidegger, three of which are especially significant. First, Schalow uses Heidegger’s analysis of technology to shed light on the role technology might play in the present addiction crisis. But it seems to me that Schalow often blurs the distinction, important to Heidegger, between technology and the essence of technology (e.g., Heidegger’s claim that «The essence of technology is by no means anything technological» ). But Schalow seems to move readily between the claim that specific technologies facilitate addiction and the claim that enframing, or the essence of technology, permeates the present addiction crisis, leaving it unclear to what extent his argument is Heideggerian. Second, and relatedly, it seems to me that Schalow risks misunderstanding the «danger» posed by the essence of technology according to Heidegger. Heidegger writes that «Enframing blocks the shining-forth and holding sway of truth. The destining that sends into ordering is consequently the extreme danger. What is dangerous is not technology. … The essence of technology, as a destining of revealing is the danger» (333). The danger is not that of «the potentially lethal machines and apparatus of technology,» but that enframing blocks a more primordial engagement with Being. But Schalow is at the very least ambiguous in his understanding of the danger when he writes that «Heidegger argued that technology wields a double-edged sword, namely, that the greater opportunities afforded to human beings, including leisure-time, simultaneously brings its specific drawbacks and even risks. In his words, for every mode of ‘unconcealing’ what is, i.e., the opportunities created by new innovations, there are also equally ominous modes of ‘concealing,’ i.e., unanticipated and destructive consequences» (96). Third, if Schalow is right to think that addiction is a symptom of the essence of technology, then it is unclear that an individual’s resoluteness could free her or him of addiction. Heidegger writes that «Human activity can never directly counter this danger. Human achievement alone can never banish it. But human reflection can ponder the fact that all saving power must be of a higher essence than what is endangered, though at the same time kindred to it» (339). Schalow presupposes that terms like «resoluteness» (as understood in the context of Heidegger’s early work in Being and Time) can offer a resolution to a problem posed at least in part by technology (as understood in the context of Heidegger’s later work), a presupposition which is at least contentious. And if no human activity or achievement can directly counter the danger, then it is unclear to me how efficacious reflection on the kinship of the endangered and the saving power would be for the addict. Third, Schalow focuses much of his thinking about treatment around the AA twelve-step program, but does little to argue for the validity of this program. Instead, Schalow seems to assume that the AA program offers a valid point of departure for analysis, justifying it by appealing to it as the «enduring spiritual plan of our today» (111) or as the first addiction treatment program (ix). But the efficacy of the twelve-step program is controversial (see, e.g., Dodes  or Humphreys et. al. ). Granted, Schalow sets out to offer a philosophical and existential approach, rather than an empirical or medical approach, but a phenomenological approach must exercise care in its choice of a point of departure for analysis. Some other finer points raise similar concerns, e.g., Schalow’s referral to «neurasthenia» (161), a condition no longer recognized in the American Psychiatric Association’s Diagnostic and Statistical Manual of Mental Disorders. In general, Schalow’s analysis would have benefitted from greater fluency with psychological and medical results. Fourth, I have some concerns about Schalow’s principles for treatment. Foremost of these is that it is hard to see how Schalow’s prescription of «resoluteness» wouldn’t entail a return to the moralistic myth that the addict is merely lazy. Schalow recognizes this possibility, and certainly aims to avert it, for example, writing that he defines «responsibility» in a Heideggerrian manner (in terms of «answerability») rather than in the traditional sense of a volitional act or exercise of the will (151). Nevertheless, the ensuing discussion of responsibility (especially Schalow’s use of Kant) makes it hard to see how he is not resorting to a more traditional sense of responsibility. Schalow is very likely correct that resoluteness is a necessary condition for recovery, but it is unclear how far it is supposed to get the addict. Further, if Schalow’s aim is to bridge the gap between treatments aimed at the mind and treatments aimed at the body (considered in biological terms), then «resoluteness» or «choosing to choose» might not be the best resource: a phenomenological analysis of human existence aimed at a level beneath deliberate choice might provide more novel approaches to treatment. Indeed, some of Schalow’s most interesting insights about treatment are found in discussions not directly oriented toward resoluteness, e.g., in his suggestion that for the addict to reorient her priorities she must begin to «inhabit a new space» of relations with others (146).